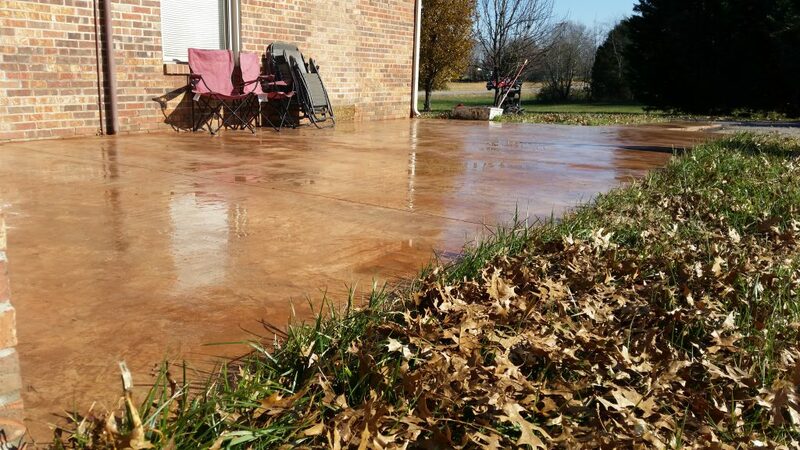 On this project we tore out an existing aggregate patio and front sidewalk that was cracked and deteriorating. 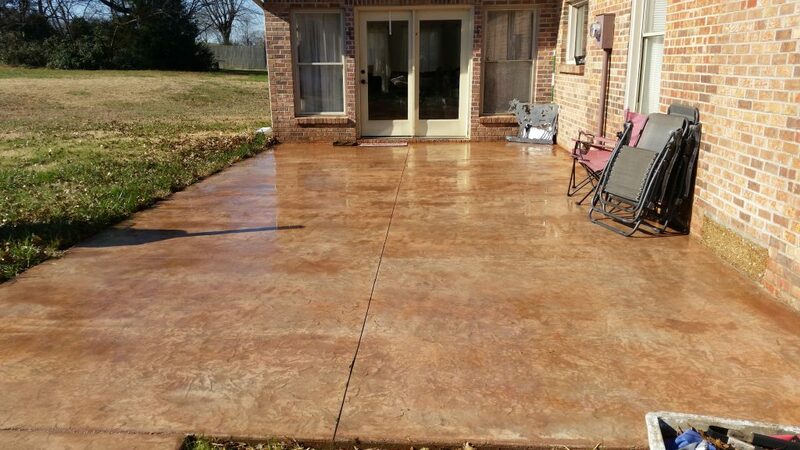 The customer wanted to replace the concrete with something a little nicer and decorative. 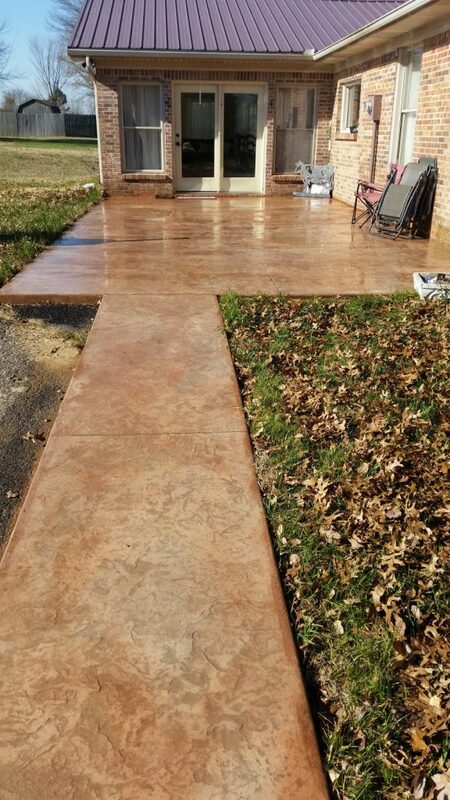 Since the back door is the main entrance with a lot of traffic in and out they opted for a light stamped texture. The colors chosen to compliment their brick home are Terra Cotta and Antique Cream concrete color hardener. 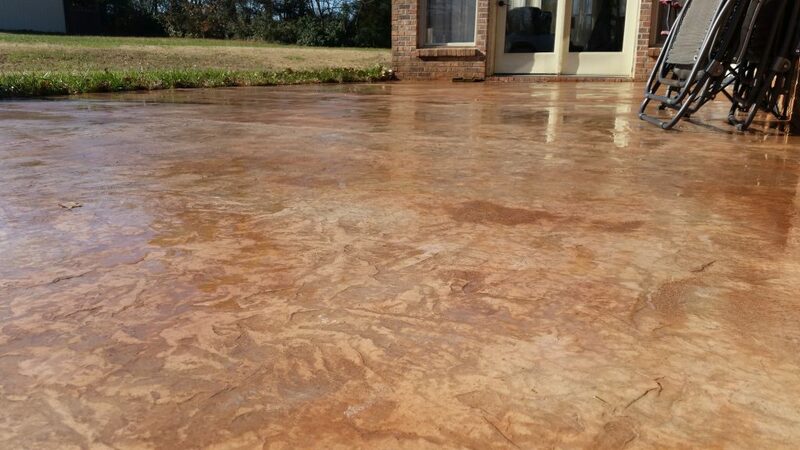 The cream color was applied modestly throughout the pour with Terra Cotta being the dominant color.